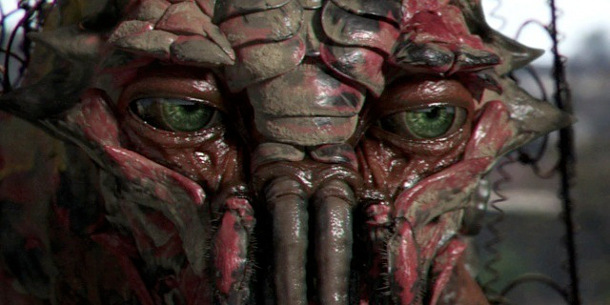 A still from District 9, rendered by Image Engine using 3Delight and 3Delight for Maya. The Katana version of the renderer will be available as a free plugin for interactive rendering when Katana 3.0 ships later in 2017. Foundry has announced that RenderMan-compliant production renderer 3Delight will be available as a free plugin for Katana when version 3.0 of the look development and lighting tool ships later this year. The free plugin, which is being showcased at Siggraph 2017 this week, is designed for interactive preview rendering; licences of 3Delight for final-quality renders will remain commercial products. 3Delight has been available for Katana for a year now, albeit as a separate paid-for product, with developer DNA Research releasing the public beta last July. The renderer itself, which also comes with integration plugins for 3ds Max and Maya, has been used in production on movies including District 9, the Harry Potter franchise, and Dawn of the Planet of the Apes. The free Katana plugin will take advantage of 3Delight’s new Nodal Scene Interface (NSI): a node-based, hierarchical UI that enables users to adjust scene lighting interactively and see the results in real time. According to Foundry, the plugin permits “unique workflows” through its light mixer technology, enabling artists to “render final quality images and adjust lighting interactively, while the edits are fed back directly to lights or groups of lights in Katana’s GafferThree lighting tools”. 3Delight’s shading engine is based around OSL, making it possible to transfer look dev data directly between it, Katana and Maya: according to Foundry, its material nodes are “100% compatible with the Maya version”. 3Delight will become available as a free interactive rendering plugin for Katana when Katana 3.0 ships later this year. Foundry hasn’t announced an exact release date. The existing version of 3Delight for Katana is free for the first eight-core licence; an unlimited multi-core licence costs $1,200. Combined Katana/3Delight licences for production rendering will be available as commercial products once Katana 3.0 ships, although Foundry hasn’t announced pricing for them yet.